Here are some images made in New York City the other day while walking around midtown Manhattan for about four hours. 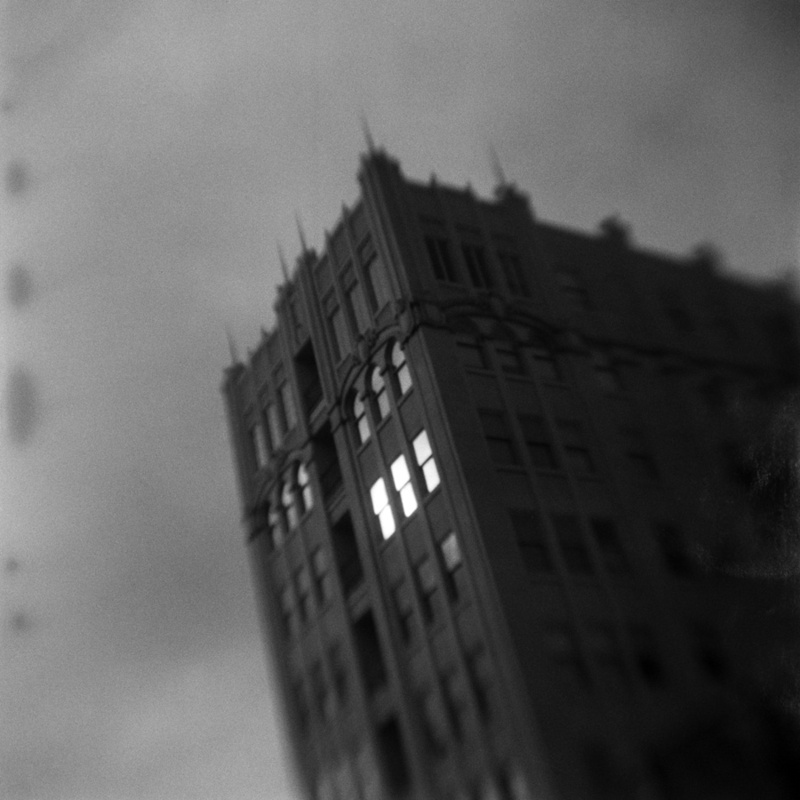 These were made with a Holga as well as a Kodak Brownie Hawkeye Flash camera with an inverted lens element and some very sketchy fifty-year expired film called “DandiPan”. Regular blog updates to follow, hopefully. Ok, so it’s been awhile since I’ve posted anything here. But I haven’t entered any photo competitions for the past nine months so there really has been nothing to report on that front. But I did submit to this year’s Krappy Kamera show and I am happy to say that two of my images, “Beach One #5” and “In Winter” were accepted for the annual exhibit (now in it’s 21st year) at the Soho Photo Gallery in New York City. The juror for this year’s show was photographer and author Michelle Bates. The exhibit will run from March 6 to March 30 at the gallery, which is located at 15 White St in NYC (in the Tribeca area of Lower Manhattan). The opening for the show will be on Tuesday, March 5 from 6 to 8pm. Both of my accepted images are relatively new. 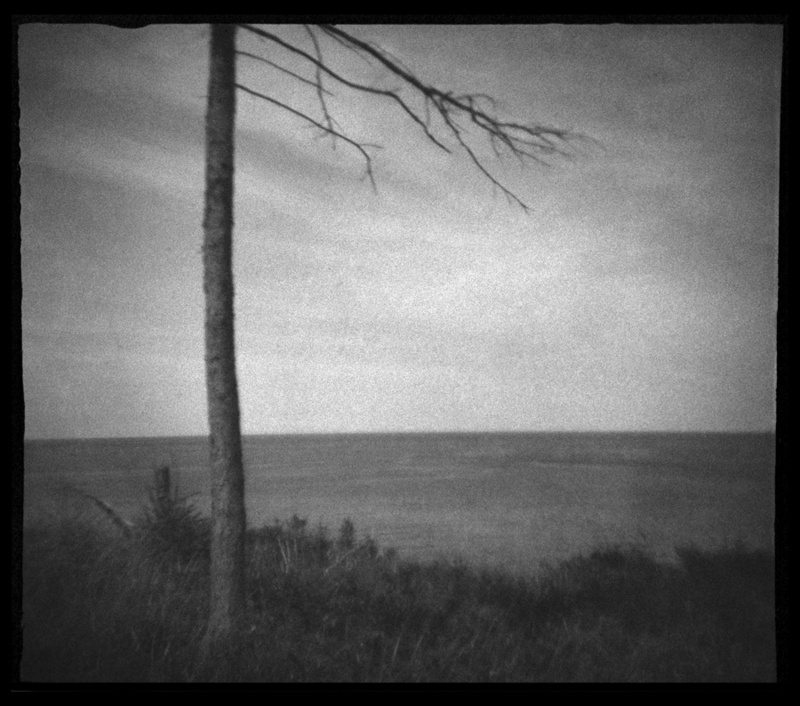 Beach One was made on the Olympic Peninsula coast in Washington in June of 2018 with my modified Agfa Isoly camera and In Winter was made the first week of 2019 with a Holga in Ipswich, MA. (As a matter of fact, I think In Winter was photographed, developed and scanned just a few days before the Krappy Kamera submission deadline). Happy to say that four of my images will be part of the Silicon Valley Plastic Camera Show taking place from July 13 through October 19 at the Art and Art History Gallery at Santa Clara University in Santa Clara, CA. The show was juried by the estimable curator Ann Jastrab, former juror of the annually fabulous, but sadly now defunct, RayKo Plastic Camera Show in San Francisco. It's great that the tradition of the RayKo show lives on. I'm hoping this will be the beginning of an annual show for those of us who use plastic cameras. My show images are, "Astoria #9", "Malpeque Ridge Trees #12" "Orb #2" and "Turners Falls #18". A variety of strange cameras and dubious rolls of film were used to create these images, including a Kodak Brownie Hawkeye Flash, a modified Holga and a Cardinal Cinex. Very expired film was used for the Turners Falls, Malpeque and Astoria images. There will be a reception for the show on October 12 from 6-8 p.m at the gallery located at Santa Clara University. I am happy to say that two of my images will be included in the ninth annual Plastic Fantastic show at the LightBox Photographic Gallery in Astoria, OR. 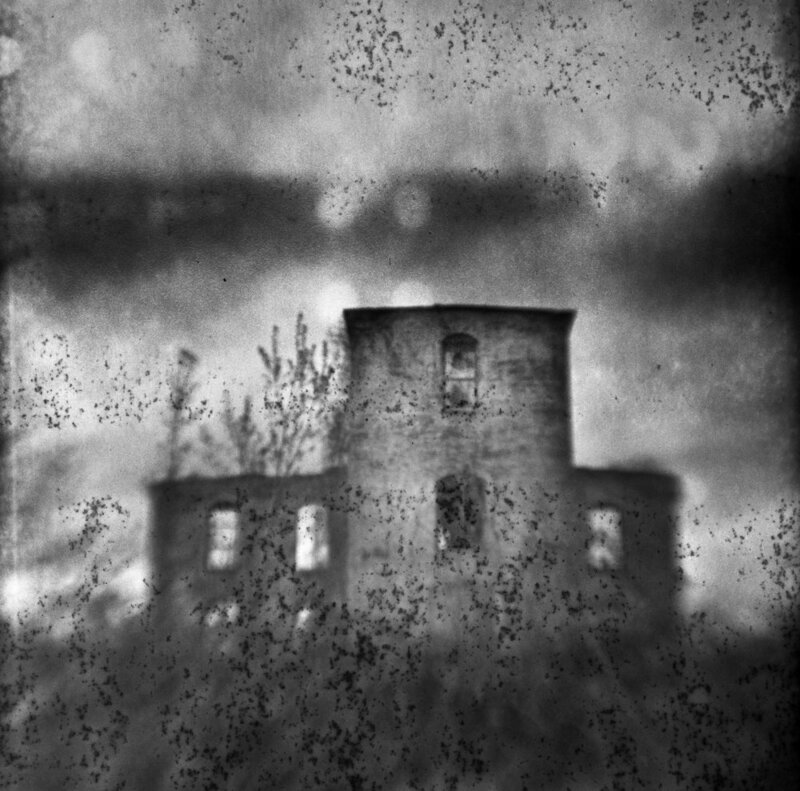 This year's show (and every year's show to date) was juried by photographer Susan Burnstine. The opening reception for the show will be on Saturday, June 9 from 6-9 pm. The show will be on display until July 10. LightBox is located at 1045 Marine Drive in Astoria. My images included in this year's show are "Turners Falls #18" and "Brooklyn Bridge #9". 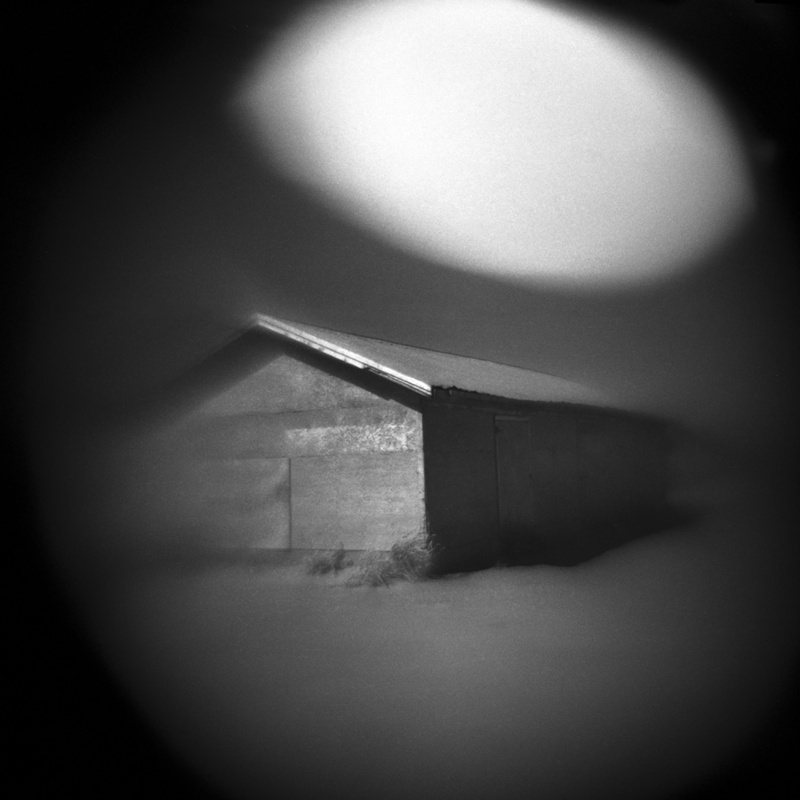 "Turners Falls" was shot using a Kodak Brownie Hawkeye Flash with a reversed lens and fifty year expired film. 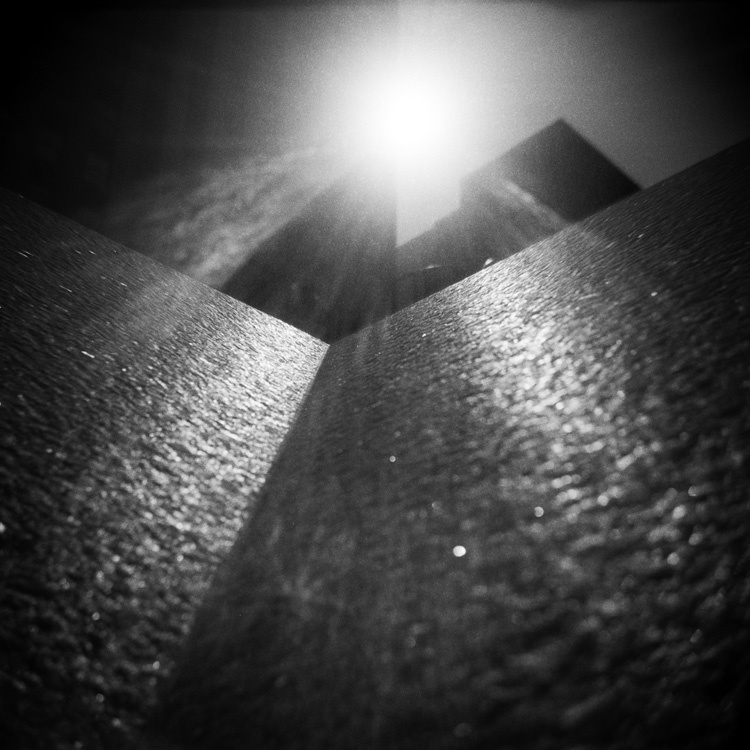 "Brooklyn Bridge" was shot using a Holga. Both images were made in the late spring of 2017. If you're in the Astoria area, please drop in and check out this always wonderful show. Having visited Astoria and LightBox last year, I can't say enough great things about both the gallery and the town. (What was I saying yesterday about not being sure about how often I would post here? Anyway, never mind). My image "Open" is part of the "This American Landscape" exhibit which opens today (May 1) at the Garner Center gallery at the New England School of Photography in Waltham, MA. This particular show is NESOP's annual juried exhibition this year and was jurored by the esteemed photographer Jim Dow. Needless to say, I am thrilled to be included. There will be an opening for the show on May 8 from 5:30-7:00pm. NESOP is located at 274 Moody St in Waltham, MA. There's a newspaper article about the show and some included show images here. And in full disclosure, my show image was not made with a plastic camera (even though this is a site for my plastic camera images). The image was made with a compact Fuji digital camera. It was shot through the window of the gift shop in Monument Valley in Navajo Nation on the Arizona/Utah border. (The newspaper article erroneously says that the butte in the distance is Shiprock). I'm calling this image "Goodbye to Winter". I made this image with a Diana camera clone called a "Playtime Candid Camera" while on one of my (almost) daily morning walks through the local woods this past winter. Although I dislike the season in general, I do prefer walking in the woods in winter when the trees are bare and there are less people around. When spring arrives (read: "if spring ever arrives") so do the leaves, the people, the awful summer light and the ticks. I'll choose to steer clear of the woods now until late fall for the most part. As you may have noticed if you've seen my website before, this is sort of a whole new site layout for me. My previous site was created using the portfolio feature that 500px offered. A few weeks ago, I got an email from 500px informing me that the portfolio feature was going away, leaving me scrambling to create another website somewhere else. That "somewhere else" is Squarespace and that's what you're looking at right now. So far so good I think. And the blogging thing is a nice feature although I'm not sure if anyone actually reads photo blogs any more. This also leaves me with my blogspot blog http://pushprocessed.blogspot.com/ and I'm not quite sure what the future will be yet for that. Also, while building this website, I have added two new sets of images. "Trees: Mostly Imagined" and "No Safe Harbour". I will post more about these images here in the very near future, I hope. I'm not really sure if I'll stay on any sort of blogging schedule, but stay tuned. So hello. And goodbye for now.